So I enjoyed putting together my previous '5 things I love right now' so much, and had such good feedback, I figured I would make it a monthly feature! I love finding new things that inspire me. Many people think that when you're online, you're not being inspired because we all get inspired by long walks in the forest etc. Don't get me wrong, I love a long walk in the forest as much as the next girl, but I enjoy being online and discovering new things that make me think! After all, the biggest part of my career is coming up with new and exciting article ideas, so anything that gives me an idea, I'm all for. Here's five things I really love right now, and you never know, you might like them too! This is probably going to sound fairly stalker like, but I followed Emily on Instagram probably a few years ago and have enjoyed seeing her work get better and better whilst gaining an impressive following for herself. 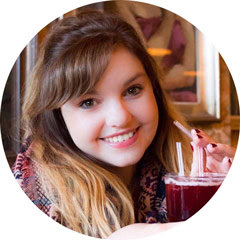 Emily is certainly not a one-trick pony, she focuses on design, illustration and photography and does an incredible job. 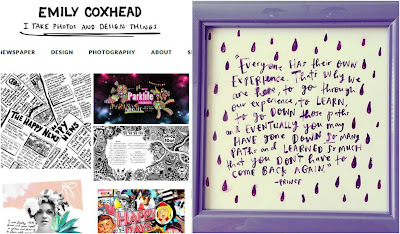 On her Etsy shop, she sells everything from cards, badges and prints. However, the best thing about her designs are that they're so happy! I love this as I can be a really negative person, but a few minutes spent on Emily's site or Instagram, you feel all warm inside and super happy! She creates happy jars and feel good packs as well as an amazing project called The Happy Newspaper, which aims to share all the good news around the world. I love her positivity and her entrepreneur skills. 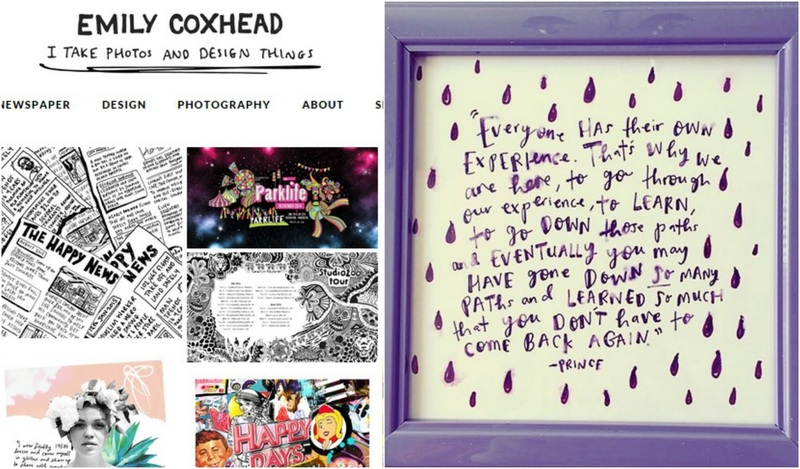 Here's what her fab website looks like and the Prince quote print I recently purchased from her. Admittedly, I tend to be more of a Cosmopolitan reader. I don't know why, but for years I've always enjoyed the articles in Cosmo more than Glamour. This is until now! When I headed down the magazine aisle in Tesco, having already read the June 2016 Cosmo issue, I saw Kylie Jenner. My first reaction was, wow she looks so natural compared to how I'd usually see her on social media. I then realised that they had titled it 'The Social Issue' and it suddenly made sense why Kylie would be centre stage, she is digital royalty. But this issue is one of the best I've ever read, looking into all different types of social media, some of the biggest influencers in our digital/millenial generation and how it is changing every day. You can't deny that social media is such a massive part of our lives and being on it for personal and work use every day has made me intrigued and excited into how fast it is changing. If you're interested in digital like me, you should pick up a copy. I also absolutely loved the Editor's note at the beginning, so honest and refreshing. I'm all for a bit of female empowerment and I have admired Girl Gang Manchester across their social media platforms for a while. They run events in Manchester which promotes creativity, confidence and positivity in women across the city. They aim to inspire and support women to succeed in life and work. I love this! Of course, it's difficult to attend their events as I don't live in Manchester (But God I wish I did some times because it's so cool there!) and I wish there was something similar in Birmingham - unless there is, in that case please inform me! Over the past few weeks they have been running a '#SeeMySelfie' campaign and it's been so cool to see a whole range of selfies every day. It's fab to see so many women getting involved and putting themselves out there. I love seeing women having confidence and do well because it inspires me to do so too. Follow them on social media and get ready to feel inspired with all their cool content and hopefully I'll be able to make it to one of their events one day! I absolutely love Career Girl Daily so much, they have nailed a perfect website and impressive social media. The website is full to the brim of articles and advice for young women. If it's career advice you're after, beauty tips or just fancy reading a lifestyle article, head on over to this site. Again, I love seeing women helping women. I don't know why women often see each other as a competition when we should all be one team and work with each other towards success. So when I come across sites like this that aim to inspire women, I have to tell others about it. Also the articles aren't too long which makes them quick and easy reads, which are ideal on commutes to and from work. I have LOVED Tiger for years, but realised that I have never written about it on my blog! This shocked me seeing as the majority of my bedroom has been purchased from Tiger. But if you have never stepped into a Tiger store, you really ought to. I have always admired Scandinavian design and I would go as far to say I'm slightly obsessed with it, to the point that I'm fairly certain of how I want my own place to look, when I eventually have one! The store is full of fun and quirky items and it's so, so cheap. It's like IKEA and Clas Ohlson, but 10 times cooler. If you're stumped and not inspired for a birthday gift for a friend, you'll find it in here. 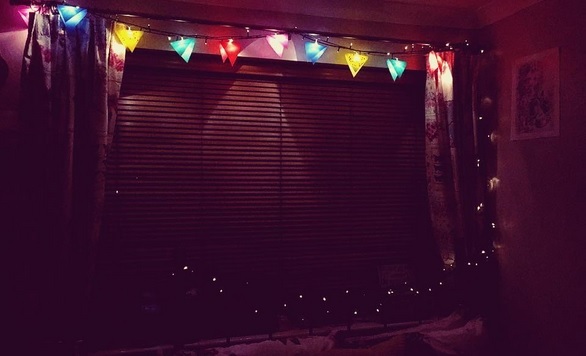 I headed into the Tiger store in Grand Central in Birmingham last week on my lunch break and purchased these adorable flag/bunting style fairy lights which look great in my room and just add's a bit more colour! If you would like to recommend something to me, get in touch as I'm always on the look out for new and exciting things!